Boston est une ville remplie de charme et d'histoire! J'ai adoré me promener dans le Quincy Marley. Il vous faut à tout prix essayer le Freedom Trail ainsi que vivre une un après-midi sur le campus de la fameuse université de Harvard! Leur visitée guidée est très intéressante et dynamique! 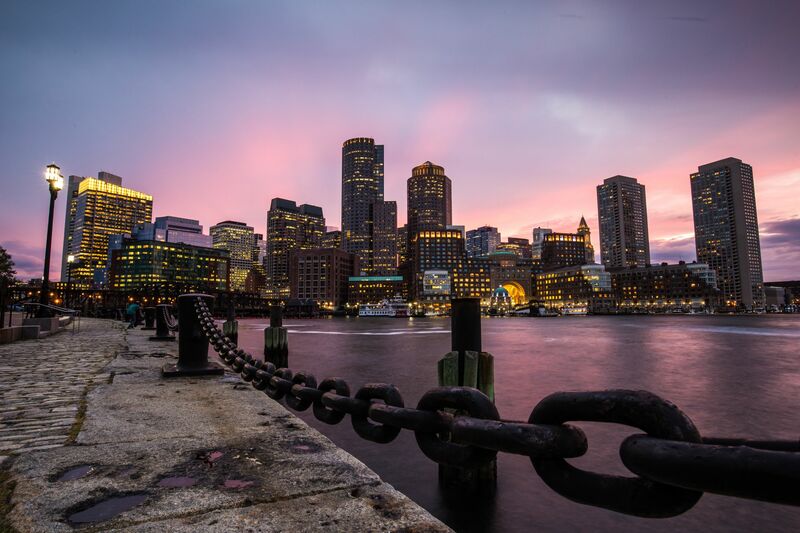 Popular with young professionals and students, a weekend trip to Boston is not complete without brunch, bowling and arcade games at Jillian’s Lucky Strike, a few rounds of Downeast cider, and a cannoli from Mike’s pastry. Very historic place to visit. When you are there you feel like you are going back in time. You can visit a lot of museums are they are somewhat price. There are many restaurant there. Parking might be an issue when driving due to resident restriction. Overall a great experience. This is the mac Donalds park. Incredible place to take some pictures if the kids. Go out, don't miss out on unpredictable awesome memories. Boston in my opinion is the perfect city. It's not too small and not too big. Plus it's easily accessible by foot and easy to cover but packed with fun and exciting things to do! This is an amazing and historic city, which blends old and new seamlessly. Yes, It's sports fans are fanatical (go sox!) but the city really has something for everyone, with world class universities, great museums and beautiful outdoor spaces. Famous for its plethora of universities, historical significance, and rabid sports fans, Greater Boston is a great place to visit and and even better place to live. From the Swan Boats in the Boston Common to the authentic Italian restaurants in the North End to the stops along the Freedom Trail that you read about in High School text books, there's plenty here for tourists and locals alike. And unlike many other major cities, it's all pretty walkable. Yes, the Green Line has been known to derail anger management efforts, but the rest of the city is a lot of fun to explore. Fenway Park and the TD Garden offer some of Boston's more high-adrenaline events between the Red Sox and Celtics, and while there's a decent chance of getting into a scuffle in either venue if you really try, Boston sports fans are pretty civil outside of that. You're unlikely to risk physical injury just for wearing a Yankees hat, for instance, but you'll definitely be given wrong directions. Make sure to hop on the Red Line and cross the river to check out with many sights and restaurants in Cambridge and Somerville, as well. Pick up a free copy of the Weekly Dig or check out www.thebostoncalendar.com for upcoming events, concerts, etc. Very nice city. There you'll find a lot local breweries. The city is close to the village Salem. Go and visit if you have time.